Freightliner Sales and Service | San Antonio | Doggett "
For your convenience, we have four locations in the state. We’ve been in the industry for over 25 years. Give us a call at (210) 666-6665 for Freightliner sales in San Antonio, TX. 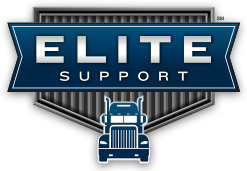 At our Elite Support certified San Antonio dealership, our goal is to keep our customers’ trucks running down the road because we know uptime equals profits. To do this, we express assess every truck and take enormous pride in ensuring our technicians are the best trained in the industry. We also have over $10 million in parts inventory to keep you moving. There is a reason that so many San Antonians rely on Freightliner trucks—they have a tested reputation for getting the job done. If you purchase a Freightliner truck, you’re making a smart investment—these trucks are efficient and reliable. They’re also well known for their excellent fuel economy. If you’re looking to invest in a Freightliner truck in San Antonio, we can help you select the ideal model to suit your needs and budget. Here at Doggett of San Antonio, we have a wide variety of Freightliner models available for purchase. We aim to help you find the ideal vehicle to suit your needs and budget. If you’re looking for something top-of-the-line, we have a wide variety of new Freightliner trucks available. Also, if you’re looking to save, we have a great selection of quality used Freightliner trucks in stock. All our used vehicles are subject to our rigorous testing procedures, which means you’re guaranteed a quality and reliable vehicle at an unbeatable price.